Direct from Chicago, March 1-3. 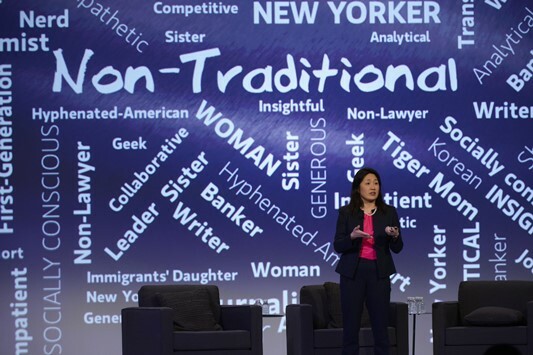 Morgan Stanley’s summit focusing on the multicultural trailblazers who stretch, ignore or bust through boundaries—sometimes with thought, sometimes with surprise and always chasing excellence. Alexander plays the role of King George III in the Chicago production of the hit musical. Co-star and Tony-award winning actress Karen Olivo, who plays Angelica in Hamilton, said the breakthrough musical "empowers young artists and actors to listen to their own voices and focus on passions outside the mainstream at the moment." The best way to mentor, she said, is in a “safe place” because in the entertainment world the onstage lessons too often can be harsh. 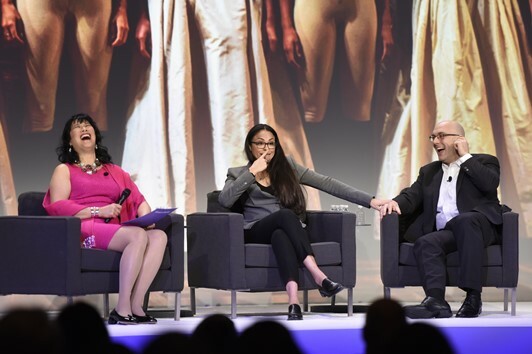 Moderating a panel of “Hamilton” stars, Morgan Stanley Private Wealth Advisor Nadine Wong’s advice from the Multicultural Leadership Summit is straight forward: “If you cast a full spectrum of diversity as heroes and historical figures in theater and entertainment, then children of all races and ethnicities understand that they can play that role not just on stage but in real life,” she said. She moderated a panel featuring two stars from the Chicago production of Hamilton (Tony-award winning actress Karen Olivo, who plays Angelica Schuyler in Hamilton and Alexander Gemignani, who plays King George). Shortly before the Summit, on March 1-2, Nadine was recognized for her accomplishments by Forbes' list of America’s Top Women Wealth Advisors. Of the 200 named, 50 hailed from Morgan Stanley. Nadine is part of Morgan Stanley’s Eagle Group with offices on Fifth Avenue in New York City. Amit is a branch manager and Financial Advisor in Sewickley, PA, near Pittsburgh. The Multicultural Leadership Summit in Chicago was held in Chicago March 1 and 2 to help Financial Advisors and managers learn and network. He helps lead “Team Kiran” efforts to fight Cystic Fibrosis. Want to have an impact in business or in promoting diversity? Morgan Stanley Financial Advisor Claudia Mollerup-Madsen of Houston says one sure way is to connect “disparate dots” – people you know who would not ordinarily meet. 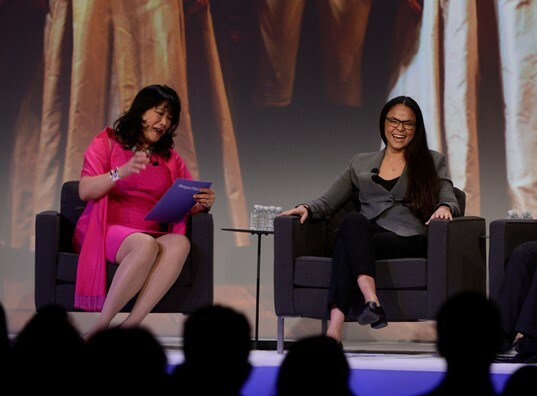 Speaking at the Morgan Stanley Multicultural Leadership Summit in Chicago, Claudia said that "connections are easier when you tell a story about yourself—rather than reciting your resume." 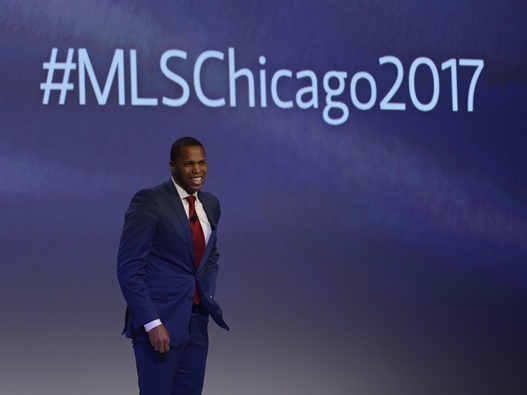 Martin was speaking to more than 400 Financial Advisors and managers at Morgan Stanley’s Multicultural Leadership Summit in Chicago on March 2. Debra Jones-McConnell's father was a professional baseball player, and though he may not have known it, he prepared his daughter as a Financial Advisor for those playing in the big leagues. How did that translate into achievement in the real world? Her passion led to a niche focusing on helping professional athletes. Today, she is a Financial Advisor and a director in Morgan Stanley’s Global Sports & Entertainment division. “You need to have a niche and you need to have a passion about that niche,” she told her colleagues. Then came the crash of 1987, Reid recalled, and in debt over his head he faced his own financial crisis. "No one wanted to invest in stocks with a 21-year-old black kid who looked 15-years old," Ted Reid said. Fast forward to 1998 and a successful Ted Reid. He asked his manager whether he could host a mentoring event for African American Financial Advisors and he got the go ahead. That meeting over the years evolved to become Morgan Stanley’s Multicultural Leadership Summit. Ted Reid’s experience with a very bad mentor resulted in an annual event where 400 Financial Advisors and managers gather to meet the good ones. Millennial investors tend to look at a company’s social policies, not just stock price performance, according to Audrey Choi, CEO of Morgan Stanley's Institute for Sustainable Investing. Millennials are twice as likely to sell a stock if a company performs poorly on social or environmental issues, according to a 2015 study, “Sustainable Signals,” prepared by Morgan Stanley’s Institute for Sustainable Investing. The trend does not mean Millennial investors need to give up performance, she said continued. One study (Corporate Sustainability: First Evidence on Materiality. Cambridge: Harvard Business School, 2015) showed that investing in stocks focused on quarterly earnings and the most important environmental and social issues yielded more than a portfolio focused only on quarterly earnings over a 20 year period. 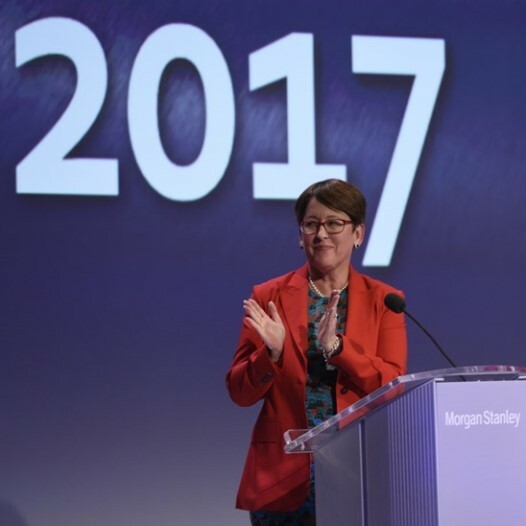 “Embracing the non-traditional perspective is an asset that underpins the work we do at the Morgan Stanley Institute for Sustainable,” she told the Summit. Colbert Narcisse, Morgan Stanley Head of International Wealth Management, says even bad mangers sometimes can be good for your career. 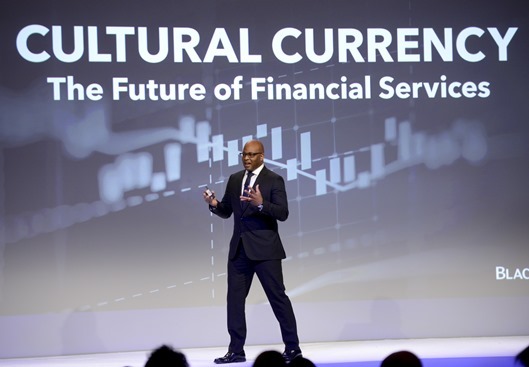 He was speaking to more than 400 Financial Advisors and managers at the Morgan Stanley Multicultural Leadership Summit Thursday. "You don’t get to choose your managers, but you need to learn how to adapt," he says. "Even a bad manager has traits you can learn from. Even if it’s: 'I don’t want to be like that.'" At one point, he said, a manager at another firm told him, "You'll never make managing director." Said Colbert: "I became a managing director before he did." His own career ranged from alternative investments to wealth management. "Remember your career does not have to be linear," he said. "You may have to take two steps back and one giant step forward." 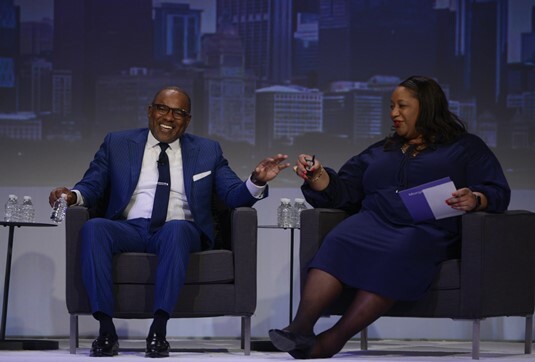 Susan Reid, Morgan Stanley’s Global Head of Diversity and Inclusion, told the Multicultural Leadership Summit in Chicago that diversity entrepreneurship takes “real commitment and grit” and deserves to be especially honored. 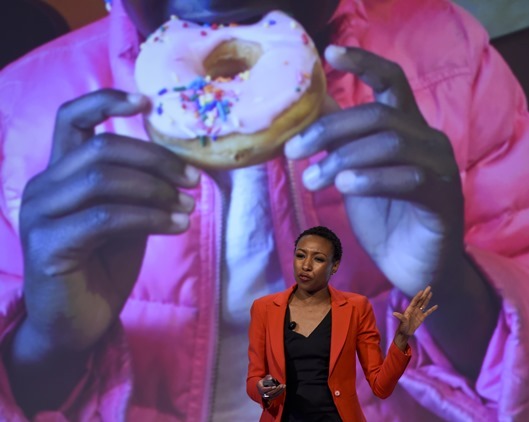 “It is often the case that entrepreneurs of color create products and services to fill the needs of underserved individuals and communities—needs that these entrepreneurs recognize because they are unique and because they are different,” she said. Entrepreneur Suite: "Folks of Color: The Greatest Consumer Demographic"
He told the Summit that a personal and professional challenge for him is to reverse the current situation where the “folks at the top are leveraging technology and the folks at the bottom are not using it as productively." He said, "If you unpackage it, folks of color, for profit or non-profit, are the greatest consumer demographic in the world and if I can help their productivity, that is worth doing." 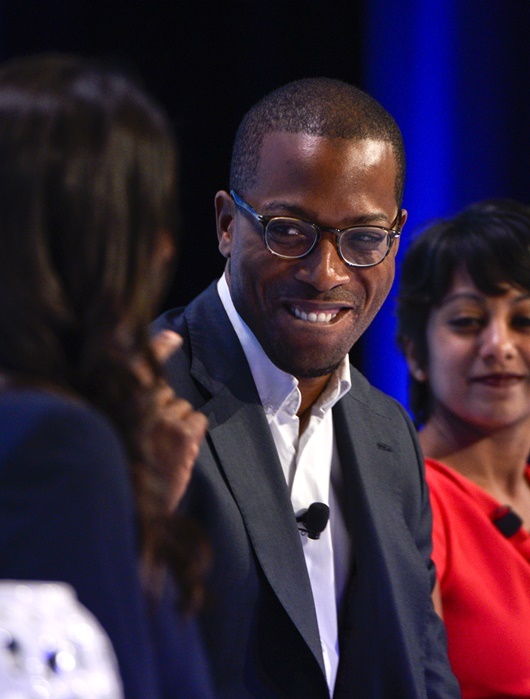 Chinedu Echeruo the Multicultural Leadership Summit in Chicago said that his success as an entrepreneur dates back to a bad night on the Lower East Side of New York City that turned on the bright light of an idea. The lesson learned, he said, was that opportunity is often the flip side of frustration. “How do you solve people's problems, solve their pain?” he said. His company, Love and Magic Company, is a global cause-driven platform to facilitate human connection. She was speaking at a special panel session entitled “Inside the Entrepreneurial Suite” hosted by International Financial Advisor Gigi Guerra. Poornima, the founding engineer for the company Mint, created Femgineer to help engineers “level out their game." Bear some pain now measured in ounces by learning new skills and techniques. Or experience huge pain later measured in tons as you lose market share and business to those who have prepared better than you. 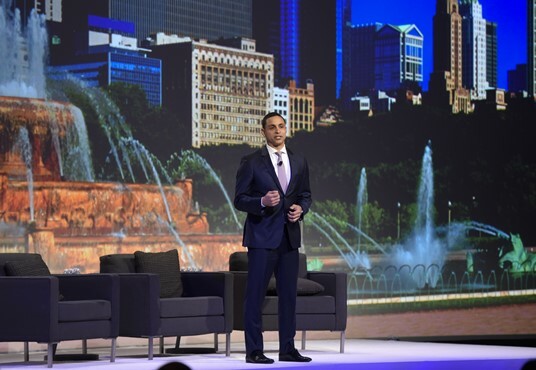 He was speaking to more than 400 Financial Advisors and managers at the Morgan Stanley Multicultural Leadership Summit in Chicago, gathered to learn and network for two days March 1-2. 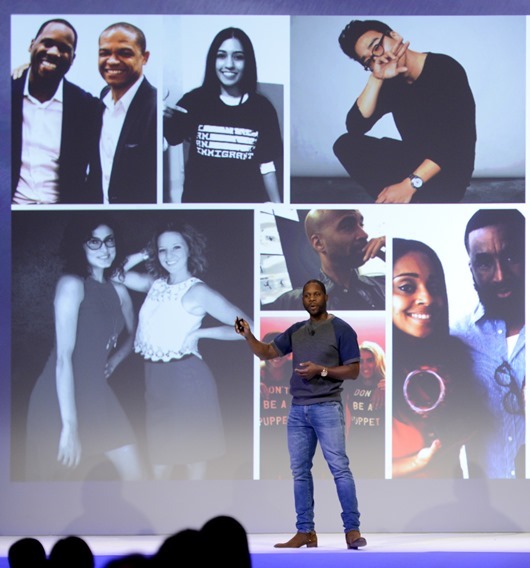 Omar Johnson, the former chief marketing officer of Beats by Dre, told Morgan Stanley Wealth Management’s Multicultural Leadership Summit that a key marketing skill he learned as a young man was to ask customers what needs they had rather than tell them what he could provide. Today, he seeks to build “teams of the unheard. People who have great ideas but who haven’t been listened to.” Often, these teams bring originality and breakthrough messages to the market. 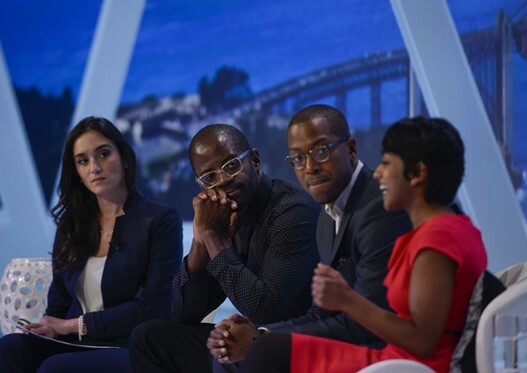 Frank Cooper III, the Chief Marketing Officer of BlackRock and a former BuzzFeed innovator, said speed; the ability to leverage data; and diverse teams are all keys to innovation and future business success. 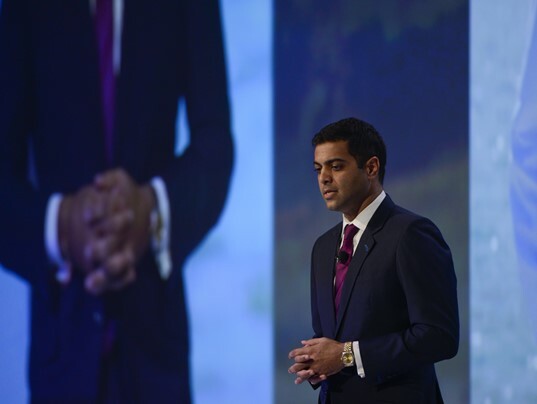 “Diverse teams simply work better and are far more productive,” he told Morgan Stanley’s Multicultural Leadership Summit in Chicago. Iconic nine-time Grammy Award-winning singer, songwriter, actress and philanthropist Mary J. Blige told the Morgan Stanley Multicultural Summit that she remains a highly competitive artist but cautioned against competing based on the demands of others. 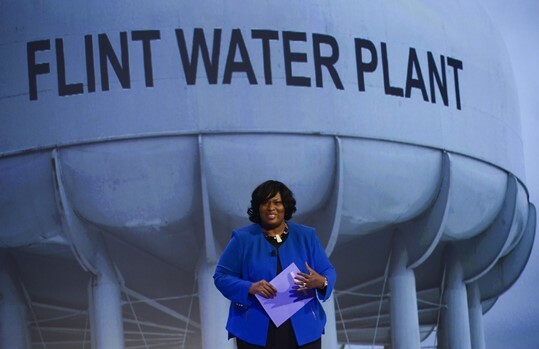 "When you compete on what everyone wants you to do you lose," she told the audience. "When you compete based on your values, on what you know is true, what you can do and what works for you, that is good competition, that is my truth. The competition has to be for you – not others." 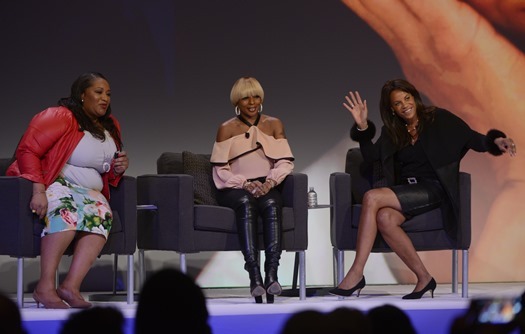 Mary Blige was speaking to Morgan Stanley’s Sandra Richards, Head of Business Development & Segment Marketing, Wealth Management; and with Kimberly Hatchett, Morgan Stanley Private Wealth Advisor at the Multicultural Leadership Summit in Chicago. More than 400 Financial Advisors and managers are gathered for two days to network and accelerate diversity. The Summit features “brain dates” – electronically enhanced networking sessions – that allow Financial Advisors to meet colleagues who share the same questions and challenges. Tiffany Dufu: Avoid "Home Control Disease"
Tiffany Dufu, chief leadership officer at Levo, a professional network for Millennials, and the author of "Drop the Ball: Achieving More by Doing Less,” told more than 400 Morgan Stanley Financial Advisors gathered at the Multicultural Leadership Summit in Chicago that they need to be wary of "Home Control Disease” in managing their time. “‘Home Control Disease’” is the challenge we face when we want everything done a certain way at home (translation: my way),” she said, "but don't have the time or energy to keep up with it. 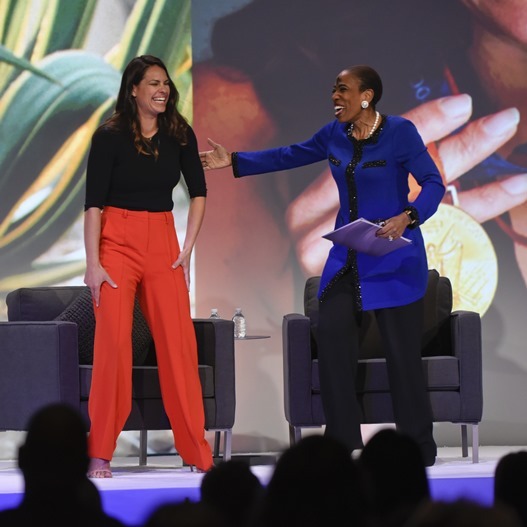 Jessica Mendoza, Olympic medalist and ESPN broadcaster, told Financial Advisors at Morgan Stanley’s Multicultural Leadership Summit that she values honest and directness in the advice she seeks. 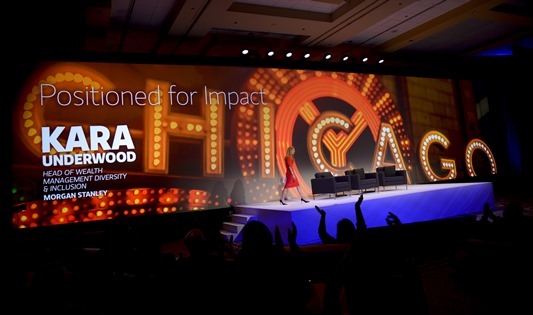 Jessica spoke during the “Power Hour” session of the Summit in Chicago. 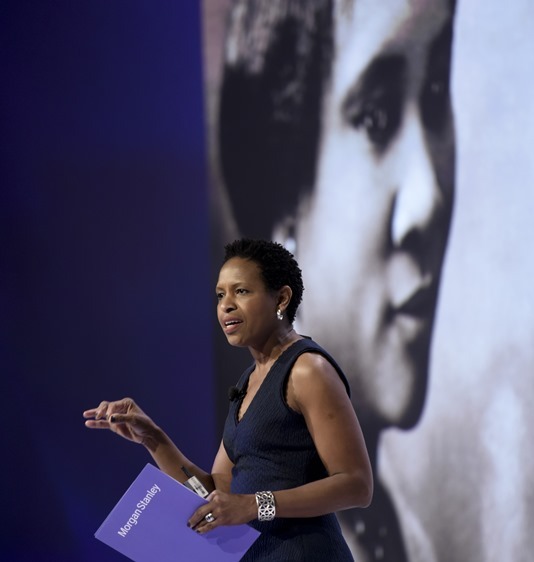 Host Carla Harris, Vice Chairman and Senior Advisor at Morgan Stanley Wealth Management, hosted the interview and asked what pressures Jessica feels. In the crucible of social media surrounding sports, she has learned to distinguish among those who disagree with her. Morgan Stanley Wealth Management Vice Chairman Carla Harris kicked off the Multicultural Leadership Summit 2017 in Chicago Wednesday with a Power Hour panel of accomplished artists and authors. 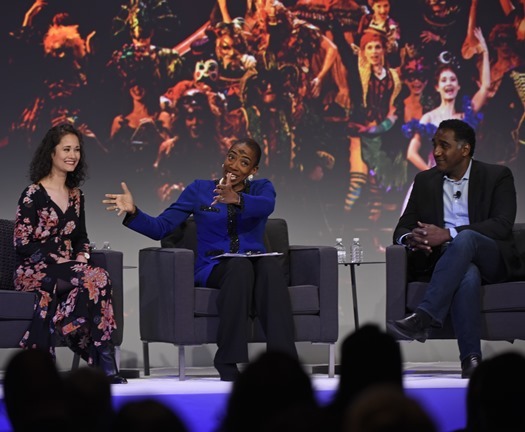 Carla Harris, who is also a Senior Client Advisor with Morgan Stanley Wealth Management, talked with; Ali Ewoldt, and Norm Lewis, two breakthrough stars on Broadway. Ali Ewoldt, the star of the “King and I” in Chicago, and who also can be seen six shows a week as Christine in Broadway’s “Phantom of the Opera” this June, said she always dreamed of a performing career. “You just have to believe deeply that the gifts you have are worthy,” she said. 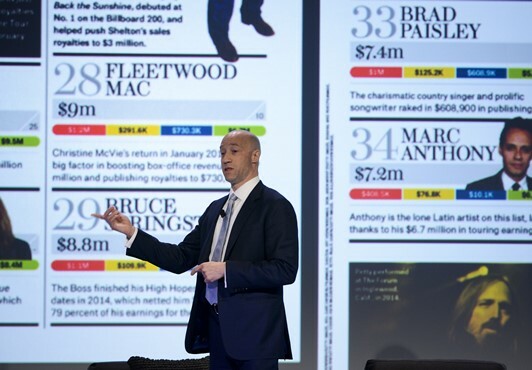 Harris' "Power Hour" was presented to 400 of the Firm’s top multicultural Financial Advisors and branch managers who gathered to connect, learn and be inspired by leaders and groundbreakers across a range of industries. 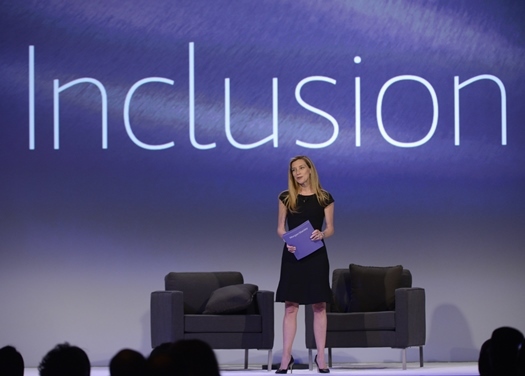 "By Coming Together We Strengthen Morgan Stanley"
The Co-Head of Morgan Stanley Wealth Management spoke to 400 of the Firm’s top multicultural Financial Advisors and branch managers who gathered to connect, learn and be inspired by leaders and groundbreakers across a range of industries. “During this Summit you will hear from multicultural trailblazers who have faced disruption and change, taken risks, and seized opportunities to transform themselves and their futures,” O’Connor said. This evolution includes a modern approach to solutions, practices and ways of connecting with clients, and embraces diversity as a powerful force in delivering the best of Morgan Stanley to help meet client goals. 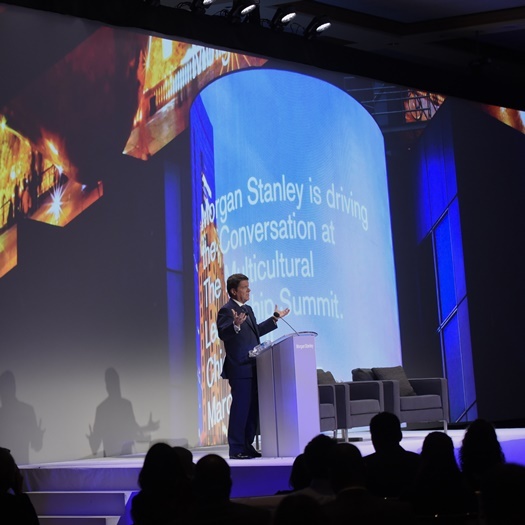 Morgan Stanley President Colm Kelleher told more than 400 top Financial Advisors and managers at the Multicultural Leadership Summit in Chicago that they represent a vital part of Morgan Stanley’s value proposition in the years ahead. “This room itself represents the value we want to present to clients: diverse and highly skilled Financial Advisors presenting exceptional ideas,” Colm Kelleher said. “We are committed to diversity because it is the right thing to do but it also serves our clients. We cannot do business right without a diverse work force and diverse clients." The Financial Advisors and managers are gathered for three days to “Inspire. Learn. Connect." The event will feature conversations with Tiffany Dufu, the chief leadership officer of the Levo League; Ali Ewoldt, a star of Broadway musicals; Norm Lewis, also a Broadway star; and Jessica Mendoza, ESPN broadcaster and Olympic medalist.